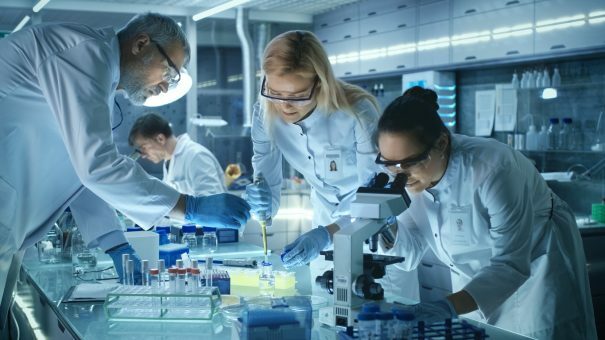 A ranking of pharma companies developing new medicines for low- and middle-income countries has revealed that just five companies are responsible for almost two-thirds of projects. The heroes in the 2018 Access to Medicine Index for conducting high-priority R&D are GlaxoSmithKline, Johnson & Johnson, Sanofi, Merck KGaA and Novartis, with GSK topping the chart of top 20 pharma companies for the sixth year running. At the other end of the scale are Novo Nordisk, Boehringer Ingelheim, Eli Lilly, Bristol-Myers Squibb and Roche. There’s also a problem with the spread of R&D projects across disease. The industry’s efforts are focused on five main disease areas – malaria, HIV/AIDS, tuberculosis, Chagas disease and leishmaniasis – but the Index has identified no fewer than 45 diseases with a desperate need for new treatments. Many of these go entirely unaddressed, it notes, including “several haemorrhagic fevers, several parasitic worm diseases, syphilis, Buruli ulcer, cholera and diarrhoea caused by E. coli,” as well as the infectious eye disease trachoma. All told, that concentration of effort means that priority R&D represents only a quarter of the total number of R&D pipeline analysed, 298 out of 1,314 projects, says the report. It’s also telling that all five of the most-targeted diseases are backed by international donors and are the target of global health initiatives. Merck KGaA comes in for particular praise for its efforts on schistosomiasis, a water-borne parasitic disease that affects around 252 million people but doesn’t have strong backing from public sector research organisations. Overall, it is encouraging that companies have more projects in the pipeline for global health priorities since the last report in 2016, and there have been important product launches including pan-genotype hepatitis C virus therapies from Gilead Sciences and AbbVie, and a child-friendly chewable form of a tablet for roundworm and whipworm from J&J. One area of concern is in cancer however, which is covered in the report for the first time. This is taking an ever-increasing toll on life in low- and middle-income countries, which now account for two-thirds of all cancer deaths, but “efforts during the R&D phase to plan access initiatives for cancer products lag far behind those for communicable diseases,” according to the AMF. Plans are in place for 5% of candidate cancer products by the time they reach the later stages of development, compared with 54% for communicable disease pipeline products. “There have been massive improvements in global health in the past decades, with all major pharmaceutical companies taking action. To close the gaps that remain, a greater diversity of companies must get involved and stay engaged for the long haul,” said Iyer.